Certified nursing assistants or CNA’s are healthcare professionals that provide assistance to the patients with regards to healthcare needs. They do their job under the supervision of a registered nurse or licensed practical nurse. These professionals are otherwise regarded as the nursing assistant, patient care assistant, or the state tested nurse aide. Since considerable training is required to enter the medical field a common questions asked is, “how long does it take to become a CNA?”. It is vital to have a high school diploma or GED in order to proceed with the CNA program. Prior to taking the program, check if there are pre-requisites needed before enrollment like taking training courses of First Aid, CPR, Medical Terminology Class, or other courses. 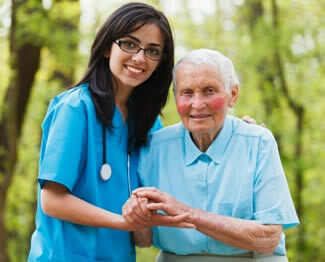 The duration of time in becoming a CNA will take about six to twelve weeks and up to six months. The initial requirement is the completion of the state-approved training course. It is also important that the individual will be able to pass the state certification exam. The usual training classes for CNA is approximately three to twelve weeks which is a standard 3-credit course and this will already cover the topics regarding what the certified nursing assistant will be performing. The long-duration programs like the ones lasting up to six months have the provision for more in-depth education however these does not really offer extra advantages compared to the short-duration programs. Varying according to state, the classes must be having a minimum of seventy-five hours and up to a hundred and eighty hours of training. It is essential that you check with the state as to how many hours will be required for the program. The training hours are divided according to different areas including lecture and clinical or laboratory training. Upon completion of the CNA training, it is essential to complete the state’s certification exam. It consists of both the lecture and clinical part of the training that you have already learned. With the lecture part, you will be taking a multiple choice exam containing about 55-70 questions. For the clinical part, a registered nurse will be supervising you as you will perform three to five skills tasked to you in order to show competency. Following the completion and passing the state exam, you will already obtain the certification which you can use in applying for job in various workplaces. To get the certificate of being a nursing assistant is one among the fastest means of obtaining a rewarding job in the field of healthcare employment. The possibilities as well as opportunities are growing that is why there are necessary requirements that you need to consider in order to become a certified nursing assistant. The classes for the certified nursing assistant can be accessed in different places such as vocational schools, community colleges, nursing homes, technical colleges, hospitals, and any other institution offering the CNA training that is approved by the state. It has become a trend for savvy students to attend advanced college classes while still in high school. This is very common among students who achieve high markings in class and are eligible candidates for Post Secondary Enrollment Options or PSEO funding by their high schools. Since the boom of the healthcare business, a lot of high school students under the PSEO program aspire to invest their knowledge and time in medical courses. One of which is in the field of nursing, in particular as a certified nurse assistant, where a promising and profitable future job awaits in the future. 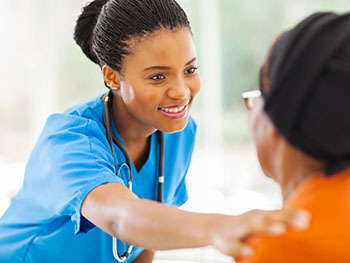 A certified nurse assistant (CNA) can land in a wide array of work opportunities like in hospitals, health centers, hospice and assisted living centers. That is why it is of great importance to understand the step-by-step procedure on how to acquire a CNA certification through PSEO. PSEO is a program offered and funded by a state to qualified high school and home school juniors and seniors. This program gives them an opportunity to enroll and attend courses that are classified under the college level standards. One benefit of this is that the tuition and book fees are covered by the PSEO program. Admission requirement for this program requires seniors and juniors to be included in the upper-one-third and one-half of the class rankings, respectively. In addition, sophomores are also allowed to apply for PSEO funding given they already have eight grade MCAs. 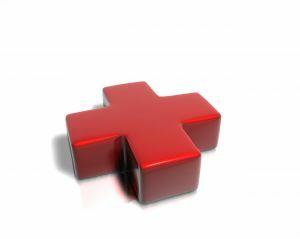 Planning is crucial if one is indeed eagerly decided to attend a CNA course under the PSEO. One thing, the student’s decision to participate is the most significant factor. Beforehand, it must be supported by an approval made by the student’s parents and with due consultation done by the high school counselor. The high school counselor will be the one to evaluate the student if he/she is indeed eligible for the program and assess if it will be of any help in the student’s future endeavors. If one qualifies, an application for admission to the state registry must be accomplished. It is also important to plan with the high school counselor about the class schedules if one successfully gets into a certified nurse aide course. Initially, the student enrolls for the CNA course in the preferred vocational school or community college. Certain laws require students to pass a background check and drug testing before enrollment. Upon entry, it is important to complete the entire CNA course. One advantage of the PSEO is that the earned credits of schooling can be used to fulfill the requirements for high school graduation and eventually pursue a college degree later on. 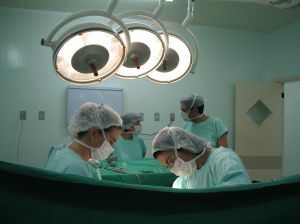 A number of schools offer CNA programs that run for a few weeks or months at the most. Some courses add extra curricula to the normal 75 clock hours which are useful credits after graduation. After completion of the program, an exam is given in order to receive certification. 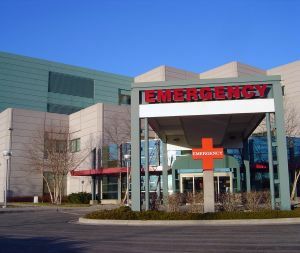 Some states require license for nursing assistants before employment. A high school student who is granted a break to study under this program is considered highly fortunate. PSEO funding is a great chance for a high school student to study extensively and get a hold of a CNA certificate without the worry of spending for college fees. Another thing is that it might open doors to a further medical degree in college or even leads to a fulfilling nursing career someday.